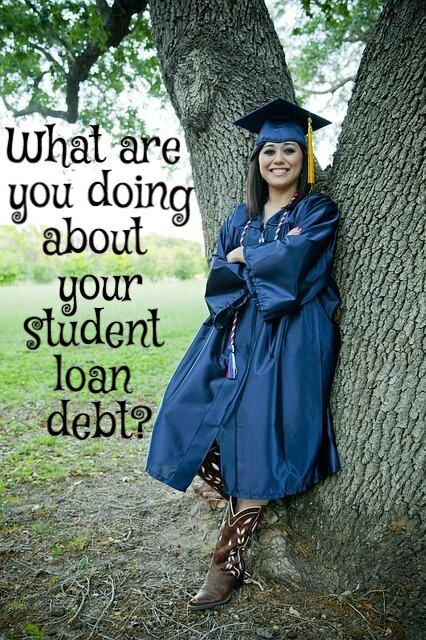 Home › Education › What are You Doing About Your Student Loan Debt? What are You Doing About Your Student Loan Debt? When we talk about living debt free, one of the items that is bound to come up is student loan debt. After all, outstanding student loan debt topped $1 trillion in the United States a few years ago. The situation is dire enough — debt-saddled grads unable to find work that pays adequately — that many analysts think that the next big money crisis will be the bursting of the student loan bubble. But those overarching concerns, while they do have an impact on you, don’t help you figure out what to do, in the short-term, about your own student loan debt. Once you’ve racked up the debt for school, it’s time to pay it off, and you need to decide how quickly you want to pay it off. First of all, one of the nice things about student loan debt is that the interest you pay on it is tax-deductible. Take a look at your student loan interest rates. If you have a private student loan, you might have a higher interest rate than what you see with a federal loan. In many cases, it might make sense to consolidate your loans (federal and private can be consolidated separately), and focus on the higher interest private loan first. However, don’t forget about your other debts. If you have high interest credit cards, it can make more sense to pay those off first, while just maintaining the minimum payment on your student loans. 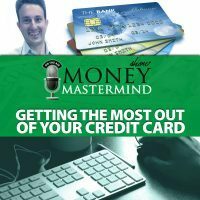 Really taking a nuanced look at your debt, and realizing that it isn’t all the same is an important part of managing your finances effectively. Before you tackle your student loan debt, make sure you understand what you want to accomplish, and figure out what other debt is in the way. 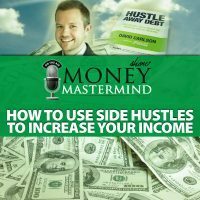 It might make more sense to pay off other debts first, or accomplish other goals first. Shortly after I finished my M.A., I consolidated all of my federal loans (undergrad and grad) into one massive student loan. However, the interest on it is less than 2%. That’s pretty good. I’m not hurrying to pay off that student loan debt because my money can be put to better use through investment. So, I’m making the choice to make the minimum payments and just move forward. But that’s because other things — beyond paying off something with such a low interest rate — are more important to me. Of course, it’s best to avoid getting into debt in the first place. One of the biggest mistakes many college students make is taking student loans they don’t need. Carefully think about how you can pay for college ahead of time. Set money aside, apply for scholarships, and accept that you might have a part-time job during college. There are a number strategies you can use to reduce your reliance on student loans. You should also consider the job that you will have later. One of the problems with many college degrees is that they don’t prepare grads for the workforce. Think about the program you are entering, and see if it makes sense for you. Another consideration is whether or not you can get a good job without an expensive degree from an expensive school. There are times that student loans can be worth the debt, but you need to have a plan for paying them back, and be realistic about what you’ll be able to do when you are done with school. There are a lot of Important People concerned about student loan debt. Plans for free community college could ease some of the problems — if measures could adopted. But, at the same time, there is some skepticism. Won’t that just kick the can down the road? Could it mean more degree and price inflation? Part of the problem likely needs to be addressed at the root. Why are college costs so high? Does college really need to be so expensive in the first place? 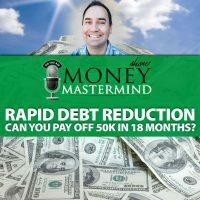 No matter what is decided down the road, though, the reality is that you probably have your own debt to grapple with today. ← How Effective is Your Charitable Giving? One Response to What are You Doing About Your Student Loan Debt? Right now, I am just rounding up my payments with the hope it will eventually pay off. It is hard to swallow every month looking at the payment.